Roofing Contractor in Flushing, Michigan. A Better Roof For Less. We’re an Owens Corning Preferred Contractor !! Roofing, Roof Repairs and Roof Replacement in Flushing Michigan. A Better Roof For Less provides professional roofing, siding, gutter toppers, insulation, painting and storm damage repair to homeowners through the Flushing, MI area. For nearly twenty years, A Better Roof For Less! has built a solid reputation as one of Flushing Michigans most trusted residential roofing contractor. Owner and lead craftsman Delbert Reynolds believes that a reputation as an honest and reliable business is the recipe for success. There may be several different reasons you want to have somebody work on the roof of your Flushing Home. Maybe you want to change the color of your roofing material, upgrade your roofing material or add some gutter protection so you don’t have the hassle of cleaning them anymore. Whatever it is, if it involves the roofline of your home A Better Roof For Less can help you. When you finally decide to start your home improvement project there are many options and you’ll be faced with many choices, styles, prices, colors and more. We walk you through all of these tough choices so you can be confident you’ve made the right choices. Having an experienced and professional remodeling contractor come out and take a look at your potential project will help you get a much better picture as to the costs, and time involved with your project. Be cautious of any remodeling contractor who wants to give you an estimate over the phone without thoroughly inspecting your area of concern first. Professionals like A Better Roof For Less will come and take a look first so they can be thorough and explain all of your options and foresee future problems before they arise. We are working for you and we take your best interest to heart! You can put A Better Roof For Less proven roofing experience to work for you on any number of your Flushing home improvement projects. Give us a call, or fill out our request form and we’ll be contacting you shortly. Remodeling any building can be a stressful experience if you don’t have the knowledge of true home professionals to bounce your ideas off of and get expert advice. Over the years we have been able to streamline our process and so we can help you make all of the tough choices, the right choices. Remodeling your Flushing, MI home doesn’t have to be scary. A Better Roof For Less can take your roofing project from concept to complete! A Better Roof For Less is a Mount Morris based roofing company serving Genesee County, Michigan. A Better Roof For Less specializes in residential roofing services including roof inspections, roof repairs, roof tear-off and replacement, flat roofing, and more. 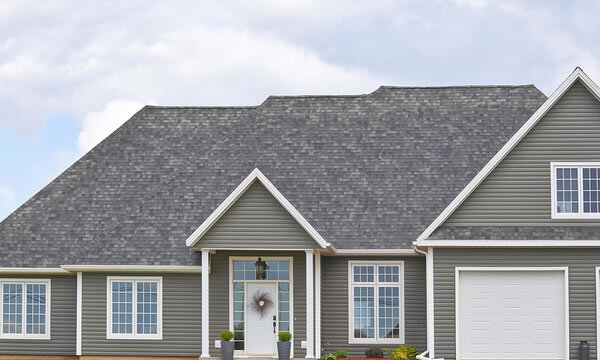 As an Owens Corning preferred contractor you can count an in-depth product knowledge, excellent customer service, and top quality installations that meet or exceed the manufacturers recommendations so your roof qualifies for the maximum available warranty.